In 2015, Tencent founded Penguin Pictures to ramp up original programming. This year, the social media and gaming giant is expected to produce eight times (in Chinese) as much original video content as it did in 2016, Sun Zhonghuai, CEO of Penguin Pictures said recently at a industry conference. 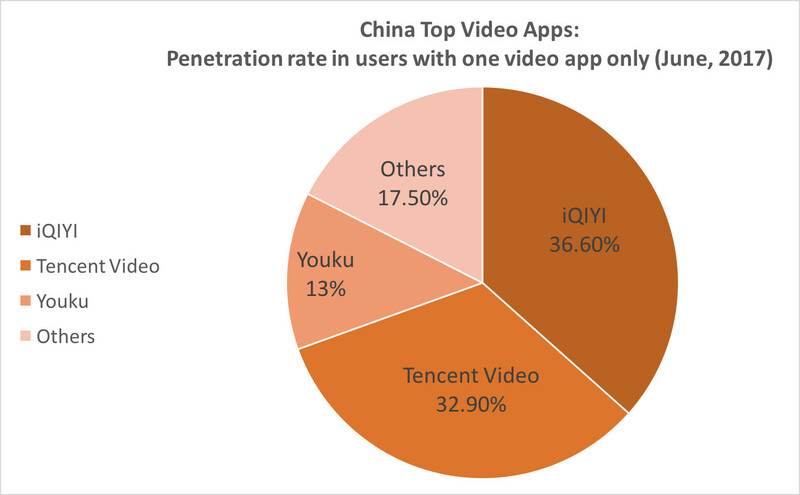 Youku and Tudou, which merged in 2012 and later were acquired by Alibaba in April 2016, have laid out steps to seize full control of production and broadcasting at its strategy meeting. Across cyberspace, the number of premium TV dramas rose from 36 in 2015 to 239 in 2016 (in Chinese) according to EntGroup, a third-party research company focusing on media. Both Tencent Video and iQIYI produced over 30 premium dramas last year, surpassing Netflix which posted 29.